As current music educators, we understand your need to have a pleasurable and easy experience when selecting your marching band show. Here at Marching BandWorks, we are dedicated to first class customer service so you have the best experience possible. We work very hard to make sure the process of obtaining a show is easy so you can focus on making your students better in band. We are humbled, blessed and thankful for your visit and hope we can give you a product you and your students will enjoy. Whether it’s creating an original show that fits your needs or selecting a show from our catalog, we are here to make this a wonderful experience. Welcome to Marching BandWorks, where we want to make your program a huge success. Marching Band for All! Starting in 2018, we have also dedicated our company to making a difference beyond the marching field. For every show we sell, we will donate 20 meals to those in need through Feeding America. Come help us make a difference in the world around us! Joshua serves as the Associate Director of Bands at River Bluff High School in Lexington, South Carolina. Ensembles under his direction have received superior ratings at festivals as well as numerous regional, state and circuit championships. 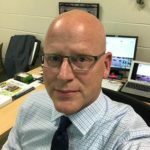 Before coming to River Bluff, Mr. Hinkel served as Director of Bands at Ashley Ridge High School in Summerville, South Carolina, Lake View High School in Lake View, South Carolina and R.H. Rollings Middle School of the Arts in Summerville, South Carolina. In constant demand as a composer, conductor and arranger, his works can be heard from concert halls of the Kennedy Center for the Performing Arts, ballrooms of the Midwest Band and Orchestra Clinic, to the performing venues of Drumcorps International (DCI), Winterguard International (WGI) and Bands of America (BOA). He is a featured concert band composer with C. Alan Publications from Greensboro, North Carolina and Alfred Publishing from Van Nuys, California. Nationally recognized, he is continually in service as a composer/conductor, traveling all over the United States, working with students at numerous honor band clinics and festivals. Mr. Hinkel enjoys nothing more than working with student musicians in the pursuit of creating beautiful and exciting music. Within the marching arts activity, Mr. Hinkel currently serves as the brass arranger for the Carolina Thunder Drum and Bugle Corps from Charlotte, North Carolina. Past composition and arranging appointments have included the Cascades Drum and Bugle Corps from Seattle, Washington, Spokane Thunder Drum and Bugle Corps from Spokane, Washington and staff arranging duties for the Coastal Carolina “Spirit of the Chanticleer” Marching Band. Other musical affiliations have included the Spirit of Atlanta Drum and Bugle Corps, the Tampa Bay Thunder Drum and Bugle Corps and Coastal Surge Drum and Bugle Corps in addition to numerous high school and college programs throughout the United States. Mr. Hinkel is a member of the Vic Firth Educational Team. He holds the B.M. in Music Education from the University of South Carolina and the M. Ed in Secondary Education from Coastal Carolina University. 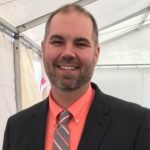 Mr. Hinkel’s passion is to create new and exciting music for students of all ages in addition to teaching life-skills, leadership and the art of music making. He is also a national board certified teacher (NBCT). He resides in Lexington, South Carolina with his wife Jessica, Yorkshire Terrier Joey and attends NewSpring Church. Jessica has 22 years experience in the marching arts as a color guard specialist. She was a member of the Phantom Regiment Drum and Bugle Corps, Carolina Millenia and University of South Carolina color guard programs. As a teacher and director, her groups have won numerous state and circuit championships and have been named WGI Regional Finalists and World Championship Semi-Finalists. She holds the B.A. in Communications from Charleston Southern University. 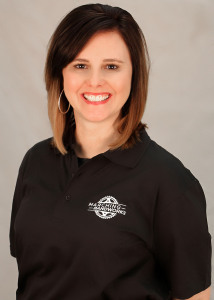 Known for her incredible communication and customer service skills, she looks forward to making your experience a wonderful one with Marching BandWorks. In addition to running the front office, she works as a producer for Center One Studios, who specialize in game day video and audio productions for the University of South Carolina Athletics. Mr. Hipp has served as an adjudicator, clinician, designer, and consultant for numerous finalist programs across the Southeast including the Chapin, Batesburg-Leesville, Pickens, Blythewood, Summerville, White Knoll, Swansea, Ninety-Six, Lexington, Irmo, Hanahan and Boiling Springs High School Bands, the 2006 World Champion Etude Winter Guard, the Epiphany Indoor Youth Ensemble, Charles Towne Independent Winter Guard and the Kiwanis Kavaliers Drum and Bugle Corps from Kitchener, Ontario, Canada. Born in Lexington, SC; Mr. Hipp graduated from the University of South Carolina with a major in music and minor in education and art studio. He has performed with the USC Marching Band Flag Line and with Millennia Carolina Independent A Winter Guard where he was the captain in 1999 and 2000. Under Mr. Hipp’s direction, the Summerville Color Guard has recently won various field and indoor awards and have been named the 2016 Cadet and Scholastic Open State Champions, 2010 Winter Guard International World Championships Scholastic A Class Finalist, 2016 Winter Guard International World Championships Scholastic Open Class Finalist and the 2004, 2014 State 5A State Marching Band Champions. Mr. Hipp is currently in his eleventh year as Color Guard Director at Summerville High School and his fifteenth year as a color guard staff member. Mr. Hipp was formerly the Early College Program Coordinator at Summerville High School coordinating with Trident Technical College on dual enrollment classes. 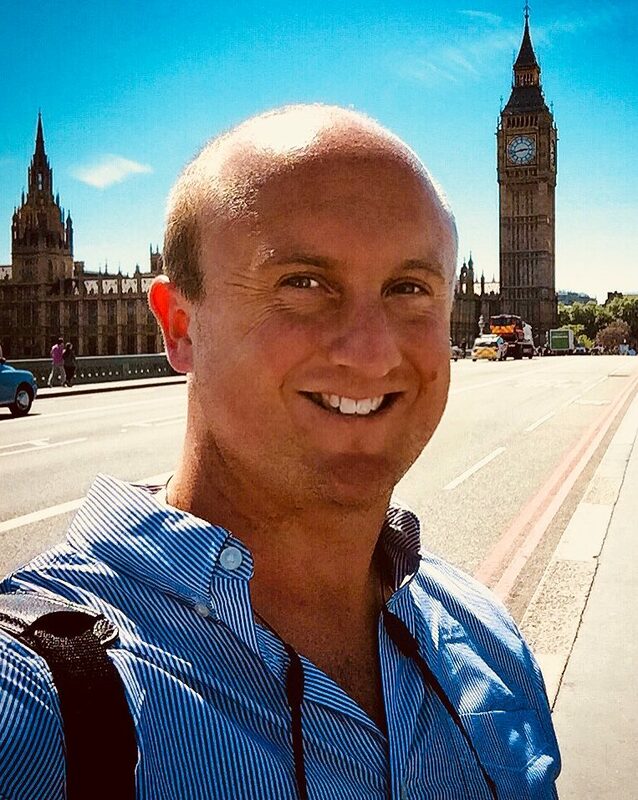 In addition, Mr. Hipp is the Carolina Territory Manager for North and South Carolina for Algy Costumes and flag designer for Algy and he recently began working as the Southeast Territory Manager for Marching BandWorks. Peter started his journey through the drum corps world as a 14 year old in San Jose, Ca., where he marched with the, then Vanguard “B” Corps as a Contra player (tuba). He then marched with the Knight Raiders for 2 years before joining the Vanguard A Corps, where he won his first DCI Championship. During the next 4 summers he took a year off from SCV to march with the Concord Blue Devils. After an 8 year span as a musician, Peter won 3 DCI World Championships with both SCV and Blue Devils. His Designing career started shortly after High School where he started designing and choreographing winter guards and marching band drill. Some of the programs he has designed for include, Lincoln HS, Clovis West HS, Live Oak HS, Fountain Valley HS, Chino HS and currently with Murrieta Valley HS in Southern California. His drum corps career started in the late 90’s teaching Pacific Crest (99-2002), Bluecoats (99-2000), The Academy (2004-2007) and finally the Santa Clara Vanguard Cadets (2012-2017). Peter also had the honor of being the lead choreographer for the Santa Clara Vanguard during the 2017 Tournament of Roses opening and closing ceremonies in Pasadena, Ca. He has been the visual/guard coordinator and choreographer for the marching arts for over 35 years and has been mastering his craft with many accolades to his credit. He has worked with numerous music arrangers and composers to make his productions a synergy of music and visual design. 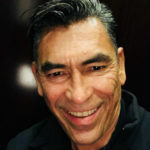 Currently, Peter is the owner and creative director for Marching Arts, Inc. (marchingartsinc.com) MAI is a leader in color guard camps throughout the west coast and in Latino America where he launched a series of camps in Mexico, Costa Rica, and Guatemala. He is also a sales representative for Fruhauf Band Uniforms, Algy Costumes, Digital Performance Gear, DSI, Marching Apparel and Marching BandWorks. Currently, Peter is designing 8 marching band programs through out the country and Internationally. His education is from Independence HS in San Jose where he was awarded departmental honors in music. He studied business at San Jose University with a minor in music. Peter Gomez is grateful to have a platform to inspire young adults in becoming great people through the marching arts. He considers the marching arts community a way of creating a future of leaders no matter what field or passions they may have. He lives with his partner of 14 years in downtown San Jose, Ca. and has a work studio in West Hollywood, Ca. Ever since high school, Lori has gained experience teaching and directing many programs around the country. She has been a huge influence on the activity in the St. Louis area. She was on color guard staff with the Blue Stars Drum & Bugle Corps in 2007 and served as color guard caption head at Spirit Drum & Bugle Corps in 2008 & 2009. In 2011, she co-founded Avidity Independent Winter Guard, formerly from McKendree University. They were IO finalists in 2011 and 2013 during her time with the program. She has also assisted Freedom Percussion (PIO) with movement and choreography since 2015. Lori is currently on staff at Marquette HS, in St. Louis, MO, where her husband is the assistant band director. In addition to managing the Central Midwest Territory for Marching BandWorks, Lori is the Central Midwest Sales Representative for Algy Team and loves everything to do with costumes and uniforms. Lori is thankful that she gets to spend her time with her husband Ken doing what she loves. She also loves being a full time mommy to two small children, Kenny and Aubri. Aaron Railey is a composer, educator, and performer based out of Columbia, South Carolina. He holds a Bachelor’s degree in Music Education, with an emphasis in percussion performance, from The University of South Carolina where he studied under Dr. Scott Herring. Aaron is currently the Director of Percussion at River Bluff High School in Lexington, SC, and is the Director of Steel Drum Ensembles at Logan Elementary School in Columbia, SC. He and his wife, Caroline, reside in West Columbia, SC. Versatility is the word that best describes Aaron’s performance abilities. In the genre of concert percussion, he has been a featured soloist on a concert tour throughout China, and also a featured percussion ensemble artist at The Percussive Arts Society International Convention. Aaron has also been heavily involved with the marching arts throughout his career. He has performed with various DCI and WGI groups such as; Spirit of Atlanta, Carolina Crown, and Palmetto Percussion under the direction of DCI and WGI hall of fame members, Chris Lee, Thom Hannum, Lee Beddis, Andrew Markworth, and Chris Hestin. Aaron is also an active steel pan solo artist performing around the state of South Carolina for weddings, parties, and other various events. As an educator Aaron has an undeniable passion for instilling positive life skills through music. Along with his present positions at Logan Elementary School and River Bluff High School, he is an active clinician across the country, and a devoted private lesson instructor. Ensembles under his direction have consistently placed in the top three at state marching competitions, received superior ratings at concert festivals, and most recently his winter percussion ensemble was named SCBDA State Champion in Division AA. Aaron is a well-sought after percussion composer and arranger nationwide. He is the owner of PercussionWorks LLC, a company specializing in percussion music designs, live performances and education. His compositions have been heard in college football stadiums, in WGI, in the top concert halls around the world, and in marching band competitions across the country. Aaron is also the resident percussion designer for the music arranging company Marching BandWorks. Aaron is honored to be an endorsing artist and clinician for The Vic Firth Company, the Percussive Arts Society, and is on the approved artist roster for the South Carolina Arts Commission. 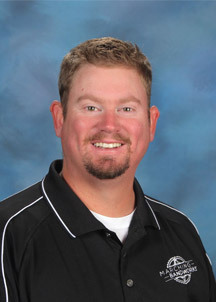 Kenneth D. Turner is the Director of Bands at River Bluff High School. Previously, he served as the the Director of Bands at White Knoll, Irmo and Chapin High Schools. In addition, he has served as Director of Bands at Kelly Mill, Irmo and W.A. Perry Middle Schools. He has been a SC Music Educator for 24 years. Bands under his direction have won 10 South Carolina State Championships as well as numerous Bands of America Regional Finalist appearances and one Grand National Finalist appearance. Mr. Turner received a Bachelor of Music in Education with a Performance Certificate and a Master of Music Education from the University of South Carolina. He joins Marching BandWorks as a drill writing specialist with visual expertise in developing and small bands. 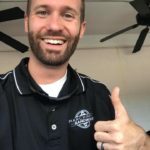 Chris Moss is the Director of Bands at Pendleton High School in Pendleton, South Carolina, and holds a Bachelor’s Degree in Music Education from the Florida State University and a Masters Degree in Music Education from Anderson University. Chris has performed in many organizations including the Florida State University Marching Chiefs, the Cadets Drum & Bugle Corps, Paradigm Winter Guard, and Northeast Independent Winter Guard. Previously, Chris served nine years as the Assistant Band Director and Color Guard Caption Supervisor at Byrnes High School in Duncan, South Carolina. Additionally, Chris has served on the brass staff with Capital Regiment Drum & Bugle Corps and the Cadets Drum & Bugle Corps. Chris through his design company, Innovative Visual Concepts, currently serves as drill designer and conceptual consultant for many bands and winter ensembles across the Southeast with numerous honors including Bands of America Regional Finalists, South Carolina Marching Band State Champions, Winter Guard Scholastic Circuit Champions, WGI Regional Finalists and Champions, and WGI World Championship Finalists. Chris is currently a member of the South Carolina Band Director’s Association and the National Association for Music Education while being a National Board Certified Educator. He also currently serves as an Adjudicator for Drum Corps International and Bands of America and has attended the WGI Judge’s Academy. Chris is married to Dr. Alison Starr-Moss, has two daughters, Lily and Evie, and two dogs: Schatzi and Hamilton. Tim Lee resides in Fort Lauderdale, FL. He studied music at the University of Florida where he did course work in instrumental education, tuba and vocal performance. Tim graduated from The International Fine Arts College in Miami, Florida with an AA in fashion design. 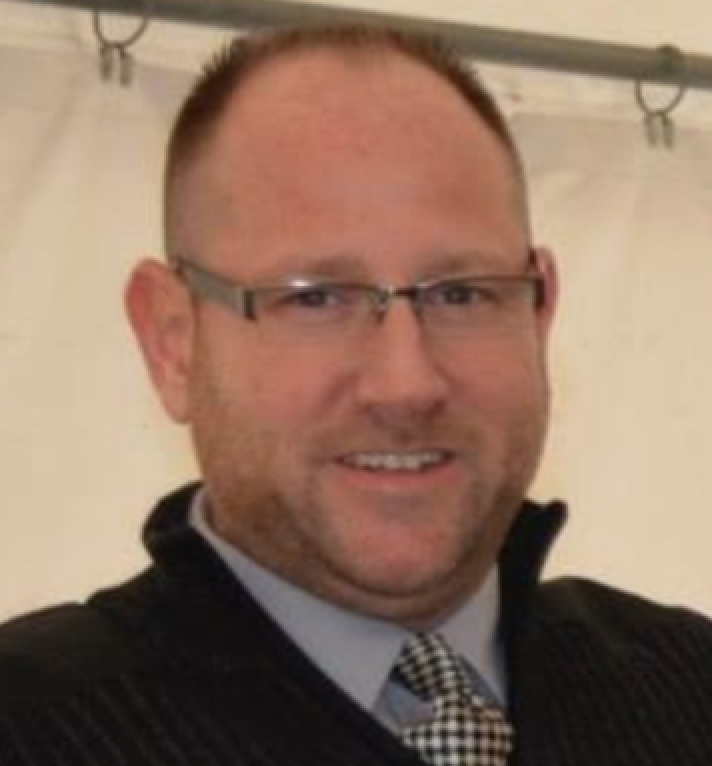 He has been a full time designer at Algy Costumes since 2003. His performance experience includes the University of Florida Wind Ensemble and Chamber Singers, Gainesville Chamber Orchestra as principal tuba. His Drum Corp experience includes Magic of Orlando 1990, Cadets of Bergen County 1992 as a contra player, Magic of Orlando 1993 and The Cavaliers 1995 as a color guard performer. His winter guard experience was with the Alliance of Miami 1994 and 1996. Tim’s involvement with teaching, judging and designing for the Pageantry Arts began in 1993 with Stoneman Douglas High School, as the director of guards until 1999. Between 2001-2006 he was Guard Director for Santaluces High School; he remained as the guard designer and consultant for the program till 2014. Tim also designs, consults and judges Winter Guards and marching band trough out the country. A.J. currently holds a Music Education Degree and Percussion Performance Certificate from the University of South Carolina, as well as Masters in Music Education from Winthrop University. Most recently, he has spent the last ten years in a multitude of roles with Palmetto Percussion that range from Ensemble Director to Chief Designer. He has also held technician and caption head positions with the Colts Drum and Bugle Corps, Teal Sound Drum and Bugle Corps, Cascades Drum and Bugle Corps and the Spirit of Atlanta. His performance experiences include performances with the Bluecoats Drum and Bugle Corps, Teal Sound Drum and Bugle Corps, and Palmetto Percussion. A.J. is proudly endorsed by Innovative Percussion. AJ has written and designed drill and visual productions for band programs all over the nation. His designs are innovative, cutting edge and perfect for small and large bands alike. He brings a fresh and exciting approach to all clients he works with. He joins Marching BandWorks as a drill writing specialist. He currently resides in Greenville, SC where is the Director of Bands at Wade Hampton High School. 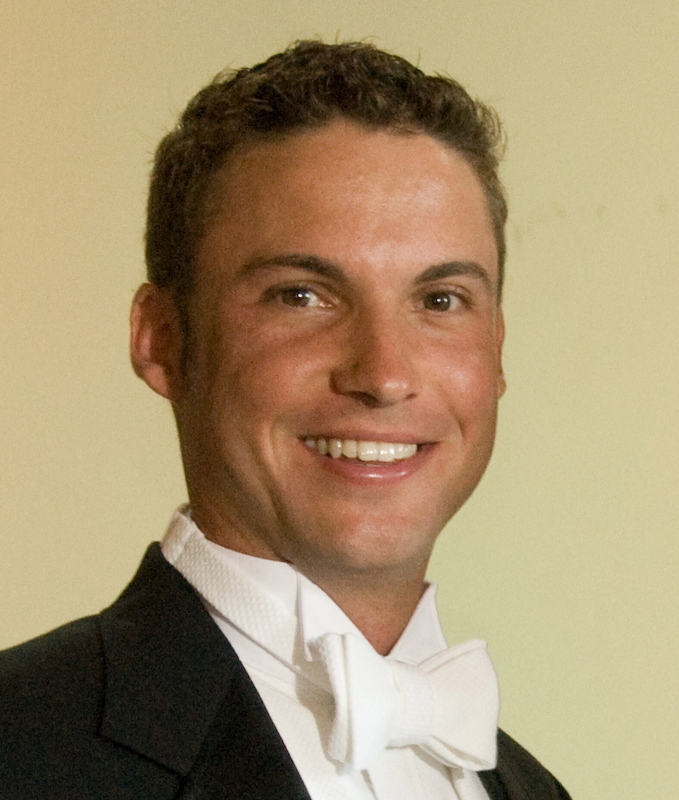 Tom Padgett is the current Director of Bands at White Knoll High School in Lexington, South Carolina. Mr. Padgett has also served as the Director of Bands and Program Coordinator at Tennessee High School in Bristol, TN from July 2010 to July 2013, and most recently served as the Assistant Director of Bands for Dobyns-Bennett High School from July 2013 to August 2016 where he served as visual and colorguard coordinator for the marching program as well as directing the third concert band. Mr. Padgett has performed with the Madison Scouts Drum and Bugle Corps in 2005 and The Cast Winterguard from upstate SC from 2005-2007. Tom was also a staff member with The Glassmen Drum and Bugle Corps in 2009, Phantom Regiment Drum and Bugle Corps in 2010, and was the Director of Southeast Independent Winterguard from 2009-2015. Mr. Padgett has helped lead the Dobyns-Bennett Band and Winterguard to three BOA and WGI National Semi-Finalist achievements, as well as numerous BOA Regional Championships and CIPA class Championships. During his time at White Knoll he has led the marching program to two 4A state finals appearances and several indoor winterguard placements in CWEA and SCBDA. Ryan has been a music educator, arranger and clinician in the state of South Carolina for over 10 years and received his Bachelor of Arts degree in Music Education from the University of South Carolina where he studied percussion under Scott Herring and Jim Hall. During his time at the University of South Carolina, Ryan performed with the USC Wind Ensemble, USC Orchestra, USC Percussion Ensemble, Palmetto Pans and the USC Marching Band. Ryan was also a member and bass drum section leader of the 2004 and 2005 Carolina Crown Drum and Bugle Corps. 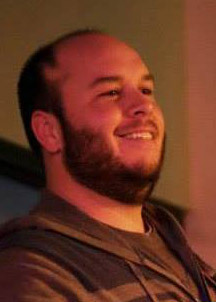 As an educator and composer/arranger, Ryan has experience as an assistant band director and a strings director in Aiken County and as a consultant throughout South Carolina for multiple award winning marching ensembles including River Bluff High School, Lexington High School, Ridgeview High School, White Knoll High School, North Augusta High School, Dutch Fork High School and Palmetto Percussion. 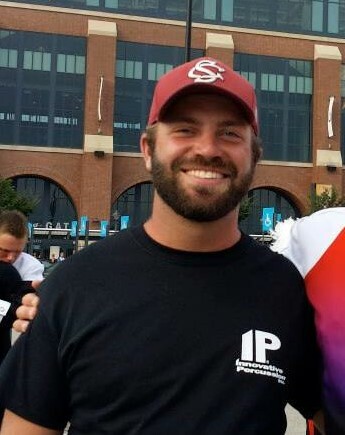 Ryan currently teaches private percussion and drum set lessons to students of all ages and performs around the state of South Carolina as a percussionist and clinician. Ryan is the drummer for multiple South Carolina based acts including the variety bands Under the Sun and Bombshell. Ryan enjoys performing with his wife Elizabeth and they live in Lexington, SC with their cats Jack and Steve.